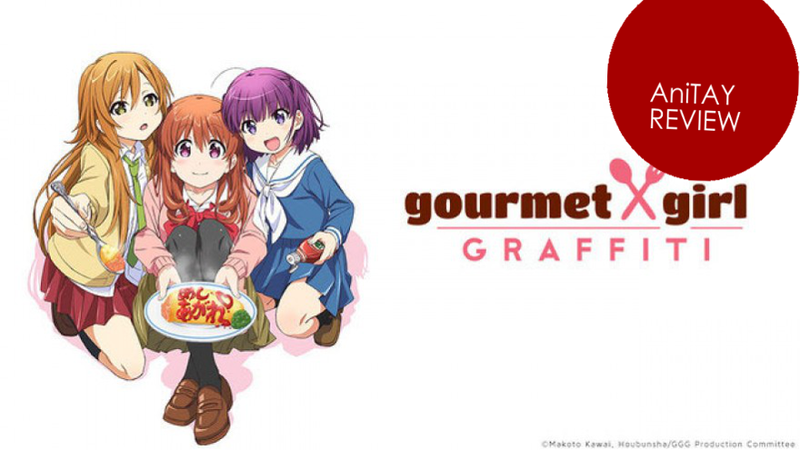 Koufuku Graffiti, or Cooking Girl Graffiti, follows Ryou, a middle school-aged girl who lives all by herself after her grandmother passed away and her parents left to work overseas. The series begins with Ryou eating all alone, and the food the she cooks, which looks delicious, having no taste. Her second cousin, Kirin, begins to come over to partake in a cram school program, and they're both trying to get into the same art high school. They begin eating meals together, and the anime truly begins. As I said, Ryou starts off alone in this anime, except for her clutz of an aunt. Through the use of home cooked meals, she begins to form relationships with different people and also figures out things about herself as well. The way this anime handles the connection between food and friendship is superb, and it's one of the reasons I actually kept up with it instead of letting this one turn into backlog. I don't think I've gotten this hungry watching something in a while. I really did have to look up some recipes and videos on how to cook after watching a couple of episodes. And it isn't just the food that looks delicious either, it's how delicious the characters make it look while eating. When a character starts eating, the show gets emphasizes every single chew, slurp, and crunch that the characters mouth makes. Also, everyone breaks into a monologue detailing all the aspects that make the food taste scrumptious. I felt like I was watching the Food Network. With all of the culinary action going on, the show seems to skip in a few places, namely, character development. Now, a problem with this show is that it tries to pack all of the character development of months into twelve episodes, and doesn't really work. While you do notice some of the character development in the time that they give you, it seems that the characters take leaps between episodes instead of steps. It feels off. Shaft's "uniqueness" shines once again. Same producers from Puella Magi Madoka Magica worked on this, so it's good, trust me. This is actually my first formal review of an anime, and while it took and extremely long time, it was fun. I think I'll be doing more of these in the future.